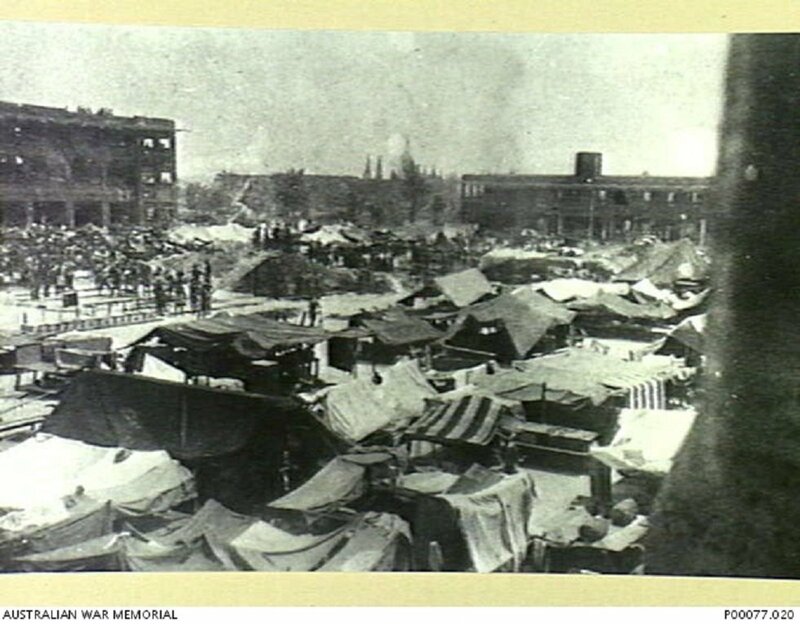 Photograph taken during the Selarang Barracks Square incident, in which over 15000 British and Australian POWs were confined in the Selarang Barracks Square after refusing to sign a no-escape agreement. The Japanese had Indian Sikh guards manning machine guns at the base of the administration building (top right) in case the POWs tried to escape. Image courtesy of George Aspinall, Australian War Memorial. 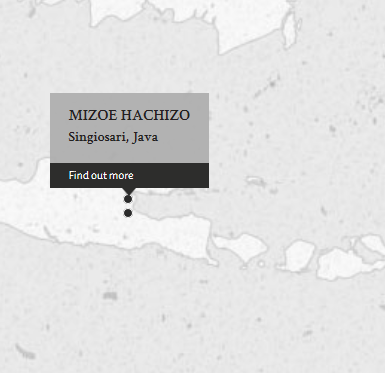 The defendant was Major Mizue Hachizo, the officer in charge of the 28th Aerodrome Battalion stationed in Singosari Aerodrome, Java which also held a POW camp. There were around 1000 POWs attached to the Aerodrome for its construction and maintenance. 4 POWs escaped and were recaptured. Upon recapture they were brutally treated by soldiers under the Major Mizue Hachizo's command. Major Mizue Hachizo later told the senior British officer in the POW camp that the 4 POWs would be shot despite the protests against the illtreatment. Major Mizue Hachizo continued to order the killing without any trial, gathering the remaining POWs to witness the execution. Major Mizue Hachizo was charged with both the ill treatment of the 4 POWs as well as their killing. He was sentenced to death by hanging. Mizue, Hachizo. Major. From Japanese military. From Japan. Guilty. Death by hanging. Sentence confirmed. Forsythe, P.A. Lieutenant-Colonel. From British military. Court president. Dennis, A.E. Major. From British military. Urquhart, R. M. Captain. From British military. Seaforth Law Student. Hideaki, Kasunobu. Barrister, Supreme Court Tokyo. Borovsky, A.V. Captain. From British Indian Army.